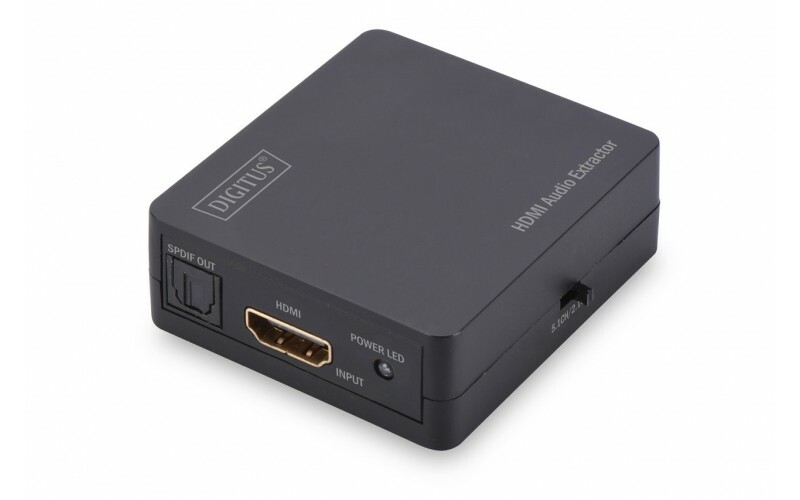 With a Digitus HDMI audio extractor, you can split the audio signal from the HDMI signal and play it over your speakers, surround system, amplifier, or headphones – you get to decide which output device to use and receive the best sound quality each and every time. 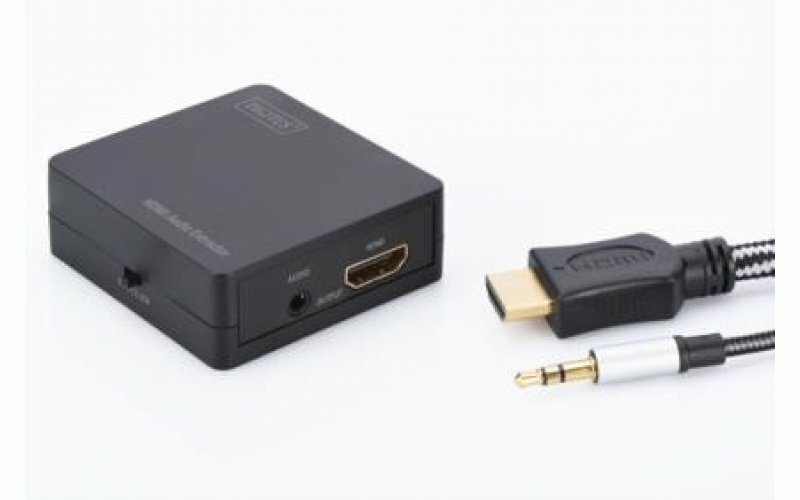 The integrated switch makes it possible to select between 2.1 channel via a 3.5-mm jack and 5.1 channel via TOSLINK. 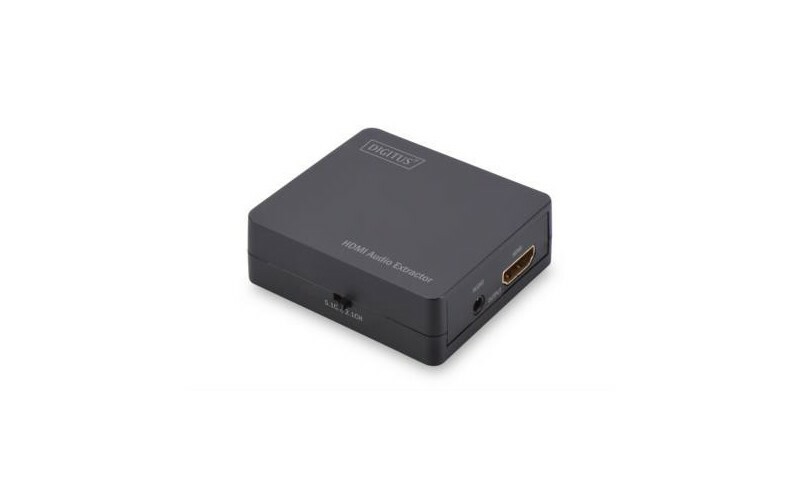 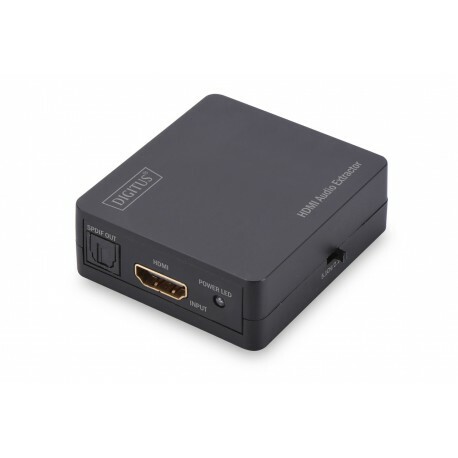 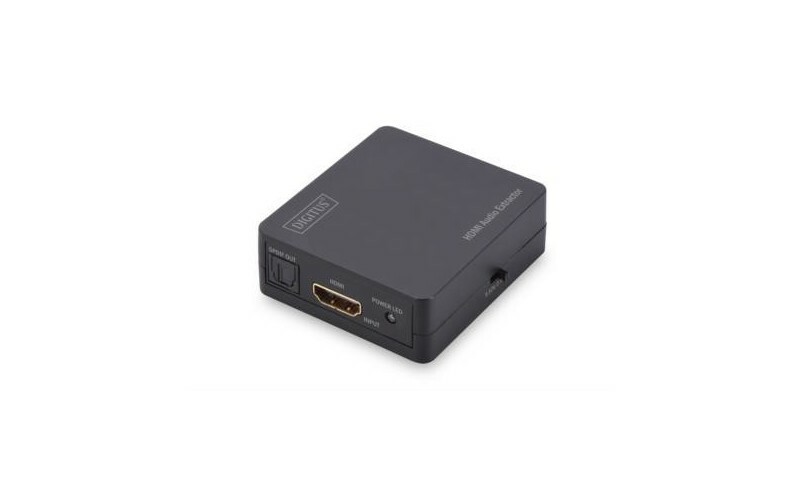 The integrated HDMI amplifier also enhances the video signal ( (Full HD up to 30 m , 4K up to 20 m). 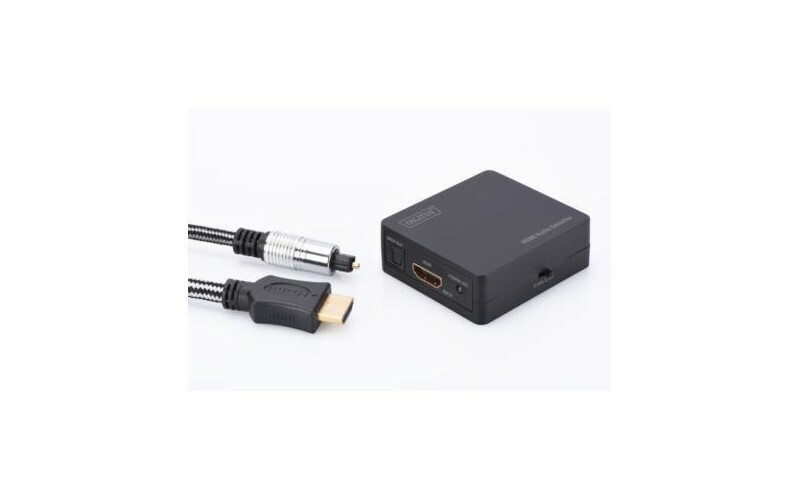 The extractor is powered via the HDMI cable and thus requires no separate power supply; power can also be supplied via the enclosed USB cable.